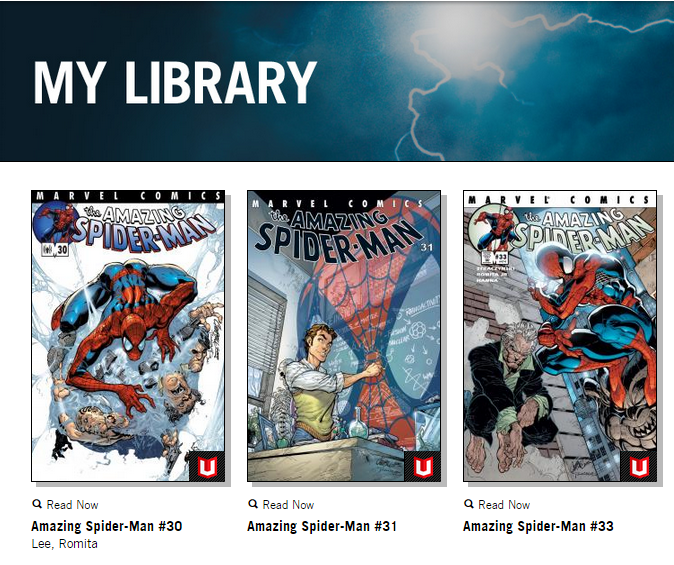 How's the New Marvel Unlimited Desktop Reader? 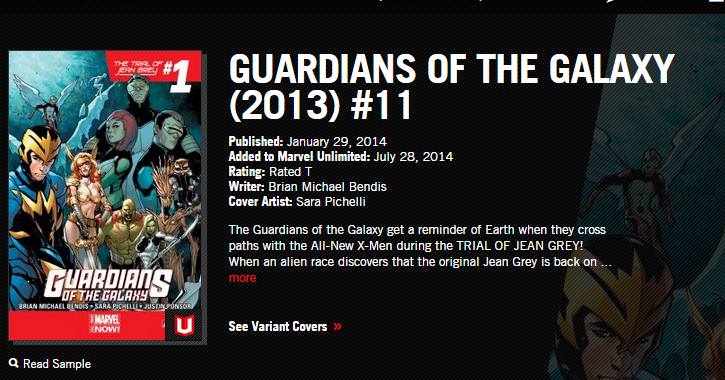 You are here: Home / Featured / How’s The New Marvel Unlimited Desktop Reader? How’s The New Marvel Unlimited Desktop Reader? Marvel quietly updated their MU desktop reader in early 2015, after approximately 2 years in a “beta mode” that was pretty clearly designed to test out mobile app functionality. The flash and beta reader options are gone, meaning this is the desktop reader for all MU subscribers, as well as the easiest reading option for Windows 10 readers, or any other device without a custom app. How’s it looking? The short answer here is the new desktop reader appears to function about as smoothly as the app reader, albeit with a learning curve. Arrows – The left / right arrows naturally take you to the next page or previous page of the comic. You can also just click on the right side of the reader to take you forward to the next panel or page. Panels – The “panels” icon (the one that looks like a vertical comic with blocked out panels) will transition you between smart panel reading, and full-page view. When you start reading, you are automatically assigned to smart panel reading, which is Marvel’s approximation of Comixology guided view (zooms in on the comic panel by panel to fill out as much of your monitor as possible with each part of the story). Above, you can see what a double page spread looks like when the “single page” view is selected. 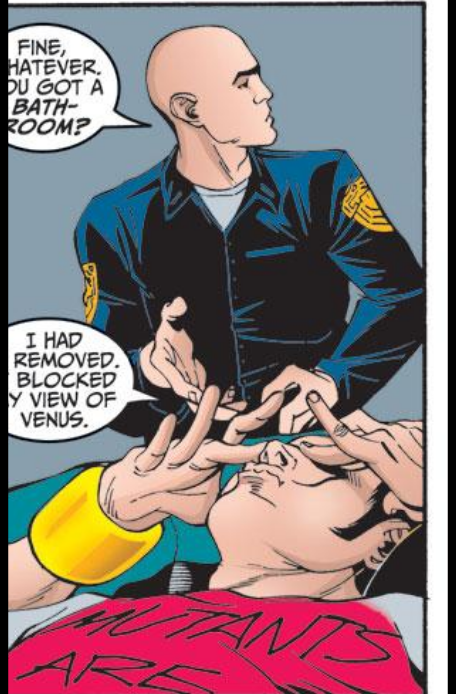 This zooms out the reader on the full comic page. Although you no longer have the option of viewing two single pages at once, double page spreads frequently do appear all at once (a blessing if you’re reading Bendis’ Marvel NOW! work which uses double page spreads more than the history of comics combined). It’s also worth noting here that while smart panel reading can frequently make the best use of the reader space, smart panel issues cutting off text on the app are pretty similar on desktop. Zoom – This leads to the next (I believe updated) feature, which is zooming in using the plus magnifying glass. You can only zoom when you’re on the full page spread option. This will zoom in on the page, and allow you to grab the page to scroll down to the bottom. It’s a bit more hands-on than simply clicking once towards the right, but there’s some appeal to see the whole page rather than go panel by panel. Alternatively, you can simply double click any panel and Marvel will zoom you into smart panel mode. Full Screen – Finally, the box with an arrow pointing up and to the right will give you full screen reading, which is definitely the recommended option to fill out your monitor. So far in my experience, the reader is reasonably smooth. I still prefer a vertical reader for comics (tablets), but if you have a monitor you can swivel vertical, I’d imagine this works pretty well. The browser reader has also now added the “read next” option that is so nice on the mobile side. So right when you finish Guardians of the Galaxy #11, you’re quickly able to jump into Guardians of the Galaxy #12 without navigating back to the series overview. Wha? Huh?! Read Sample? I’m signed in! Aside from that, I’m just noticing one thing I like, and one thing I don’t. Kudos to Marvel and the Unlimited team for membership discounts on new series. I’ve maintained for a while that the best use of the Unlimited in-app purchase option would be for issues not included in Marvel Unlimited, and that’s what these offers are approaching. Thor is a Girl! Ahhh! You could make the argument that a Marvel Unlimited subscriber isn’t going to pay for books they could just wait for, but that really overestimates the amount of patience all subscribers have. I have literally a million books I want to read right now, and I still seriously considered getting these new Thor issues for half off. I’m aware these membership deals aren’t new, but noticing them again makes me wonder: Why not pimp that offer within the MU app in Thor: God of Thunder? I’m just saying, I’m way more likely to finish “The Last Days of Midguard” and then immediately jump on a half off deal for new Thor in a mead-fueled haze. I would have been extremely excited to learn that the desktop reader update also enhanced the comic library management of Marvel Unlimited, but no such luck. For some reason only the Dread Dormammu could explain, managing your library on a desktop is hell on earth. I talked a bit in my Scribd Unlimited review how much smoother library management is there, and that still sticks out like a sore thumb. It’s a real weird twist when in-app library management is significantly better than desktop, but that’s still where we’re at. I don’t even consider accessing my Marvel Unlimited library on a desktop, and for that matter have largely abandoned trying to maintain a list. This is a bummer because I kind of love lists. I’m admittedly not a desktop reader loyalist, but as a whole this seems like a natural, if slight, upgrade. What do you all think? Do what feels right to you in the comments. Omg MU is so good. I love the new desktop reader, I own a surface Pro Tablet, and with no windows store app, my only option is to use the browser desktop reader, this is a huge improvement and effectively converts my surface pro experience into a real tablet feel once full screen is turned on. My only wish for the service is to allow curated reading lists like some of the ones found on this site, it would be much nicer to have the service auto select and load the next issue than to dig about on the site to find it, especially as it’s slow to load. Reading Marvel Unlimited on a 27″ iMac is a glorious experience. Unfortunately, I can only do that when I walk into my local Apple Store. The iPad App works so great and it just feels so natural reading comics on a tablet that I really don’t bother reading on my computer or laptop. (Of course if I owed said aforementioned 27″ iMac, I’m sure that would be different!) My only issue with the iPad is the size. I’d like it slightly bigger to feel like I’m reading the issue actual size, as I much prefer reading full size than smart panel. For this reason, I cannot wait for the iPad Pro to come out with it’s rumored 12″ screen. I will be getting one solely just to read Marvel Comics on! I read on the desktop exclusively. I am happy with the zoom while in single-page mode, and the lack of “Unexpected Error” messages so far is great. I tried going to the next issue, and it was practically seamless. Smart panels do sometimes cut off the text, so I stopped using that option. I initially had trouble scrolling with the mouse, as it would bring up the navigation buttons whenever I moved the cursor too close to the bottom of the screen. It only takes a click to make them disappear again, but it was a little annoying. The workaround is to use the keyboard arrows to do all of the scrolling. I would like to be able to see the number of pages in the comic when it loads. It allowed for more efficient time allocation. Is there an option to see that with the upgraded reader? That’s cool and all, but still like reading on my iPad. The revolution will be televised! Oh wait… oh no… get that camera out of the bathroom!!! The way people behave now… the “Soon™” is in order.